Bob Dylan wrote this song and it was on his John Wesley Harding album. It was the longest time that I finally started to like Jimi’s version. The song peaked at #20 in the Billboard 100 in 1968. This was Jimi’s only top 40 hit in the Billboard 100. I do like the simplicity of Bob’s original version also. This was written and originally recorded by Bob Dylan in 1967, but it was the Jimi Hendrix cover that made the song famous. Many other artists have covered it, including Eric Clapton, Neil Young, U2, Dave Matthews Band and The Grateful Dead. Dylan was so impressed with Jimi’s version that Dylan for years played it the way that Jimi had recorded it. This was Hendrix’ only Top 40 hit in the US, where his influence far outpaced his popularity. He charted a few times in the UK, where he rose to fame before making a name for himself in America. Hendrix had been working on and off with the members of the band Traffic as he recorded Electric Ladyland. Traffic guitarist Dave Mason caught Hendrix at a party and the two discussed Bob Dylan’s newest album, John Wesley Harding, containing “All Along The Watchtower.” Hendrix, long fascinated with Dylan, decided to cover the song on the album. On the resulting track, Mason plays rhythm on a 12-string acoustic guitar. This was used in an episode of The Simpsons when Homer’s mother was telling him a story that took place in the ’60s about why she had to leave him. In a 2008 poll conducted by a panel of experts in the Total Guitar magazine, this was voted the best cover song of all time. The Beatles’ rendition of “Twist and Shout,” first recorded by the Top Notes, came second, followed by the Guns N’ Roses version of the Wings song “Live and Let Die” in third place. This was used in the 1994 movie Forrest Gump shortly after the title character arrives in Vietnam. Yes this is Bob’s version…the only one I could find. I’ve always liked Jimi’s more mellow songs. The song moves so well because of his guitar playing and the futility of life lyrics. The song originally appeared on the Axis: Bold as Love album in 1968. It was not released as a single and did not chart although the album peaked at #3 in the Billboard 200. Hendrix’s brother, Leon Hendrix, has commented that the lyrics allude to their father’s alcoholism, Leon being taken away so suddenly by Child Protective Services without announcement, and the abusive relationship between their parents (or from stories told by their grandmother, who was half-Cherokee. This is one of Hendrix’ most autobiographical and personal songs. He hated talking about his past, and avoided it during press conferences and interviews. Hendrix played all of the lead guitar parts backward, then rewound the recording of the lead guitar parts to the song to get that effect you hear in the beginning and in the middle of the song. Hendrix’ mother was a Cherokee Indian, and in this song, he identifies with his heritage as a Native American. Hendrix read the words for this song as a poem instead of singing them. This is the softer side of Jimi. I had the American version of Are You Experienced and came across this song and it has always stuck with me. It was written about his girlfriend Kathy Mary Etchingham. The song peaked at #6 in the UK charts and was the B side to Purple Haze in America. Bob Dylan was one of Hendrix’s biggest influences and it shows…this song has some great imagery. Jimi wrote this in 1967 for Are You Experienced? ; it was inspired by his girlfriend at the time, Kathy Mary Etchingham. He’d gotten into an argument with her about her cooking. She got very angry and started throwing pots and pans and finally stormed out to stay at a friend’s home for a day or so. When she came back, Jimi had written “The Wind Cries Mary” for her. Jimi wrote the song quietly in his apartment and didn’t show it to anybody. After recording “Fire” (which was about his sexual relationship with Kathy), he had 20 minutes to spare in the recording studio, so he showed it to the band. They managed to record it in the 20 minute period they had. The band later recorded several more takes of the song, but they all seemed very sterile and they decided to go with the original recording. This was the third single from Are You Experienced?. This song begins with a distinctive and recognizable introduction, in which three chromatically ascending ‘five’ chords are played in second inversion. A ‘five’ chord consists of two notes (first or “root,” and fifth) instead of three (root, third and fifth). The missing middle note gives the chord a more ‘open’ or ‘bare’ sound. A second inversion “flips” the notes in the chord, so that the fifth, not the root, is the lowest sounding note. This makes it more difficult for the listener to immediately identify what key the song is being played in. In addition, a syncopated rhythm makes it difficult for the listener to identify the “downbeats” of the song. This combination of musical elements creates a unique and disorienting experience when the song is heard for the first time. According to the book Jimi Hendrix: Electric Gypsy, Hendrix wrote this as a very long song, but broke it down to fit the short-song convention and make it radio friendly. Hendrix was concerned that listeners wouldn’t understand the song in its shortened form. Here are some of my favorite guitarists. Being fast is not something I care about… I’ve always liked guitarists who play with feel more than finger tapping. 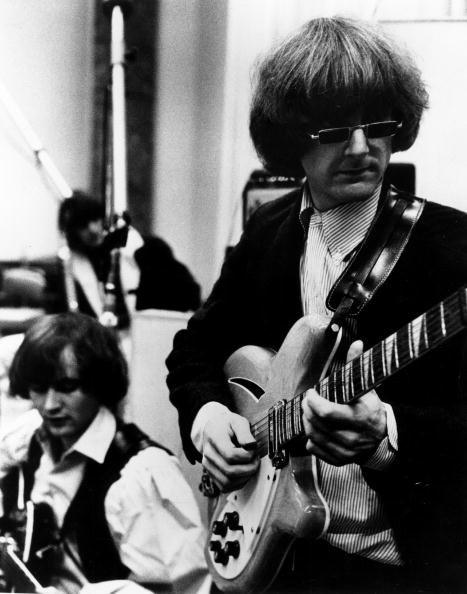 Roger McGuinn, Byrds – He will not rip off lightning licks but he plays the Rickenbacker 12 string like no one else. I like the tone and his understated style. Neil Young – This may seem like an odd choice but when Neil plays the electric guitar…anything that can happen will. He plays by feel and feedback and God bless him for that. Brian May, Queen– You can hum his solos. One of the most melodic lead guitar players I’ve ever heard. 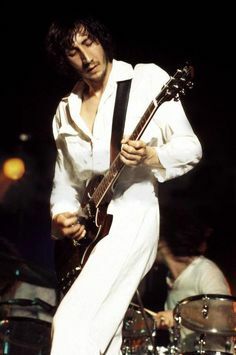 Pete Townsend, Who – The king of the power chord. Pete does not have blinding speed but every note he plays is for a purpose. 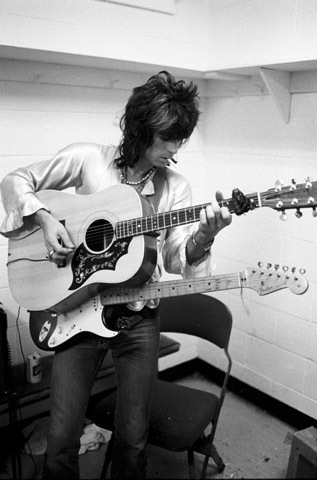 Keith Richards, Stones – The Human Riff… When Keith found G tuning the Stones sound changed forever and it may have been the key to their longevity. George Harrison, Beatles – After the Beatles, he reinvented himself into a great slide guitar player. Guitar players are still trying to find that tone. He had a great touch and taste in whatever he played. Buddy Guy – For electric blues and the tone he gets Buddy Guy is the man. Below is a picture of Buddy at the Festival Express playing a great version of Money. Jimi Hendrix – Like Keith Moon…many musicians have tried to copy him but none have. It is controlled chaos but I like it. Chuck Berry – Rock and roll owes a lot to him…he has been copied more than anyone. Scotty Moore, Elvis – The guitar player backing Elvis on his great 50s hits. Keith Richards said of Moore… Everyone else wanted to be Elvis, I wanted to be Scotty. This song explosion is like an atom bomb going off. From the first words “Well, I stand up next to a mountain and I chop it down with the edge of my hand” you know Jimi means business. This is no boy band or pop song…Jimi is shooting to kill. This song is off of the great 1968 Electric Ladyland album. From the tone of the guitar and how he spits out the lyrics, the song is a masterpiece. The guitar riff is one of the best. Voodoo Child (Slight Return) did not chart in Billboard but did go to #1 in the UK and it was Jimi’s only number 1 single there. This was recorded after Hendrix had finished the long, slow blues of “Voodoo Chile,” a 15-minute jam that appears earlier on the album. An ABC film crew came into the studio to do a piece on The Experience, and told them to “make like you’re playing, boys.” Jimi said, “Okay, let’s do this in E.” The TV footage was lost. Steve Winwood played organ on this. He was a member of the band Traffic, and often played on the same bill with Hendrix. When Jimi was recording this in New York, he had Winwood come by and play. This was voted the best guitar riff in rock’n’roll history, by readers of Music Radar. The website said “From its wah-wah into the the rhythm parts and the astonishing solo, this is still regarded by many as the high watermark of electric guitar expression.” Guns n’Roses’ “Sweet Child o’ Mine” came second in the poll and Led Zeppelin’s “Whole Lotta Love” third.